One of Mosaic’s defining moments came in January 2013, when it started offering a return on crowdsourcing investments. That enabled small investors to buy into solar projects on the rooftops of schools, apartment buildings, convention centers, and other buildings. The Oakland–based company did $7 million worth of business that year. It now operates in six states. Now, Mosaic has reached what it believes is another defining moment. It is joining together with RGS Energy (Nasdaq:RGSE), a nationwide leader of turnkey solar energy solutions with a 35-year-long track record in the industry, to offer the Mosaic Home Solar loan. “Homeowners gain all the benefits of ownership with the simplicity of a lease, while investors gain access to transparent and tangible investments in the booming home solar market,” added Billy Parish, Mosaic’s president and co-founder. Mosaic’s crowdfunding model has proven itself on 21 projects. Residents of Mcguire-Dix-Lakehurst military base in Fort Dix, New Jersey, the nation’s first tri-service military base, now live under one the largest solar installations in the nation. Most analysts expect 2014 to be a golden year for solar. The Mosaic Home Solar Loan is the first of its kind to be integrated seamlessly into the solar sales process and offers a simple online loan application that delivers results in minutes. By combining Mosaic’s innovative web software technology with RGS Energy’s excellent market reach and customer service, the partners look to improve the solar buying experience and increase the number of homeowners going solar. The financing program is also the first to offer “Choice Payments,” integrating the solar tax credit into the payment process to ensure that monthly payments stay low from day one. Paying little or nothing up front, homeowners will experience all the benefits of home solar ownership, including lower electricity bills, tax credits and — unlike a solar lease or power purchase agreement — free energy after the end of the loan term. 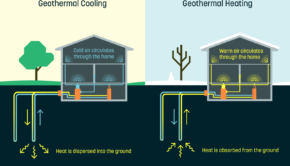 RGS Energy plans to offer the new loan product to California homeowners starting in the first half of 2014. 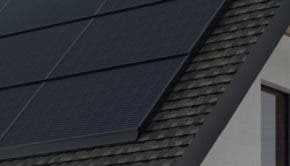 Mosaic will also offer investments in the Home Solar Loans to qualified investors via its online platform at www.joinmosaic.com. So, what makes Mosaic’s loan program different from anyone else’s? Mosaic’s Home Solar Loan offers zero dollars up front and simple low monthly payments, comparable to most leases. However, unlike the lease, at the end of the loan term, homeowners have increased their home value and get free energy for up to 25 more years. It also offers benefits over other loans on the market. DCU (Digital Federal Credit Union): Need to have DCU savings account, only available to SunPower, requires pay stubs. Photo at top of page: Rooftop of Affordable Housing Project in San Bruno, CA – Courtesy Mosaic.